Today I’m sharing with you over 30 [yes 3-to-the-0!!] 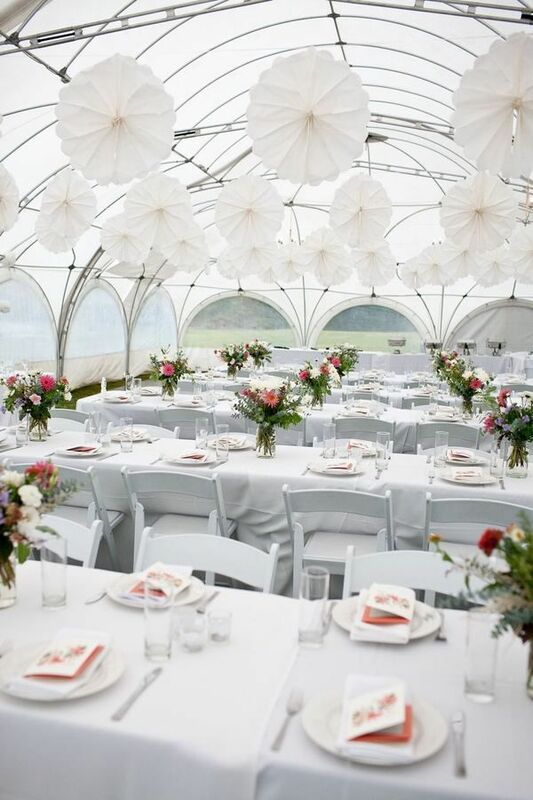 AMAZING wedding decorating ideas that’ll chic-efy [tis a real word] your ceremony / reception and will stupefy your guests. 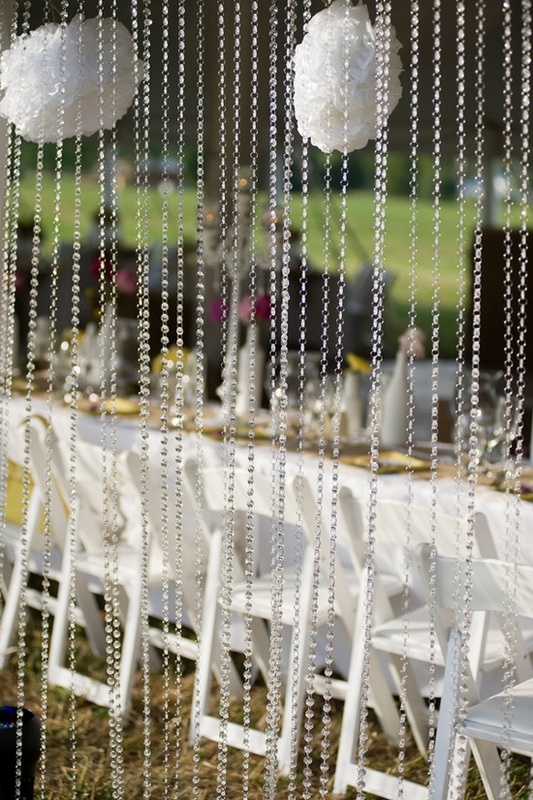 From super cool bunting to magnificent chandeliers… to the dreamiest of drapes, there’s an idea here for every type of bride! 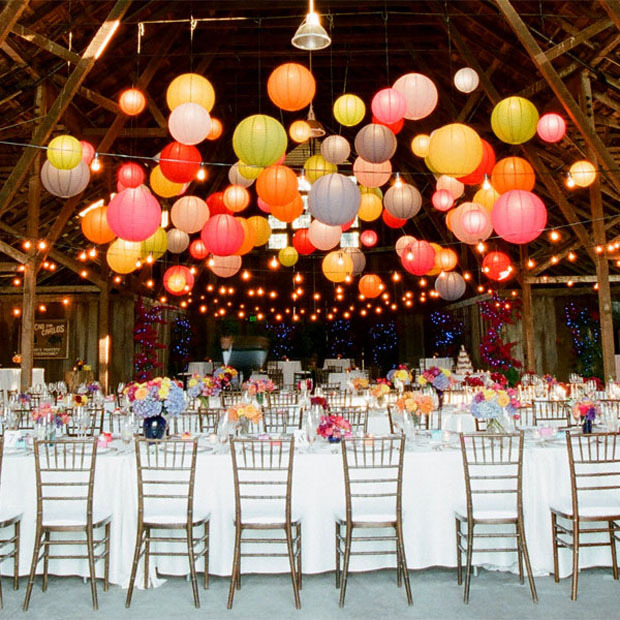 Colourful floating lanterns are super pretty and super fun! 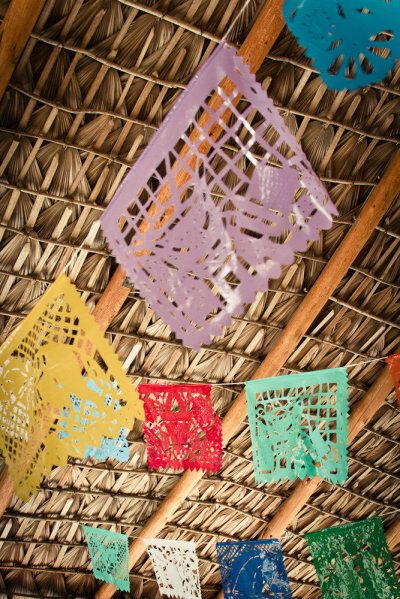 Or how about a super bright honeycomb garland? 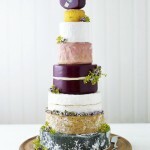 This one was used at the entrance to an amazing wedding. 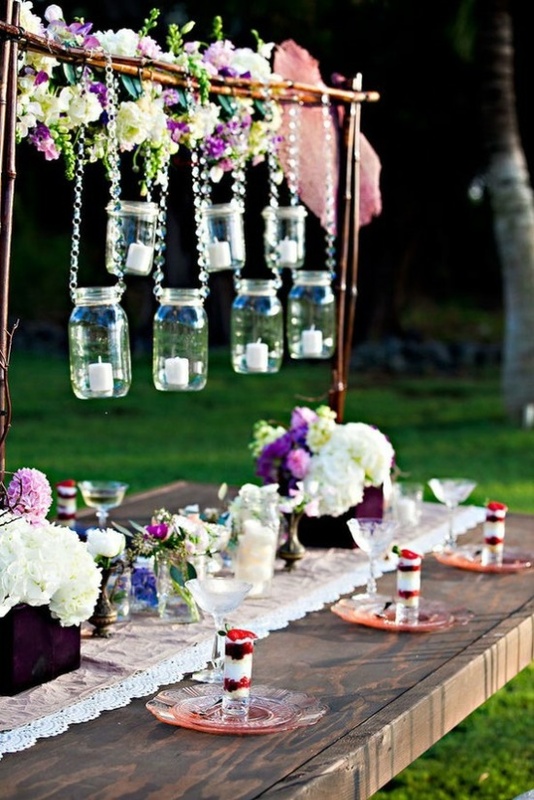 If you’re looking for a classical pretty wedding decoration ideas why not pop candles into glass jars. 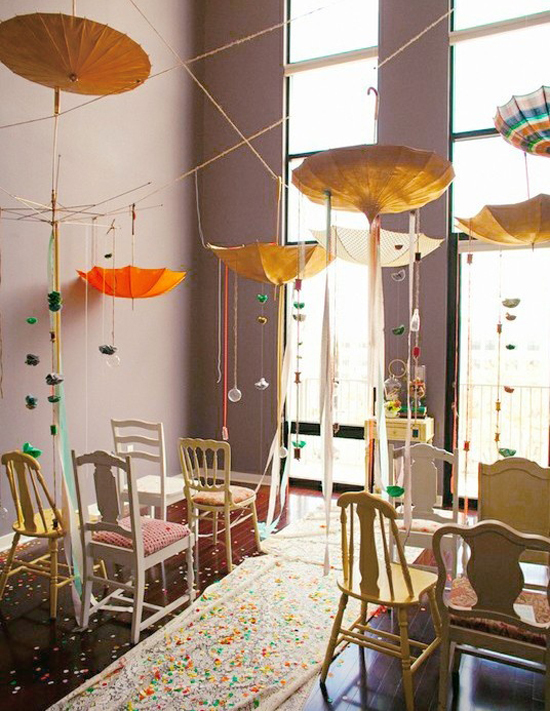 They can be suspended using ribbons or other types of pretty material. 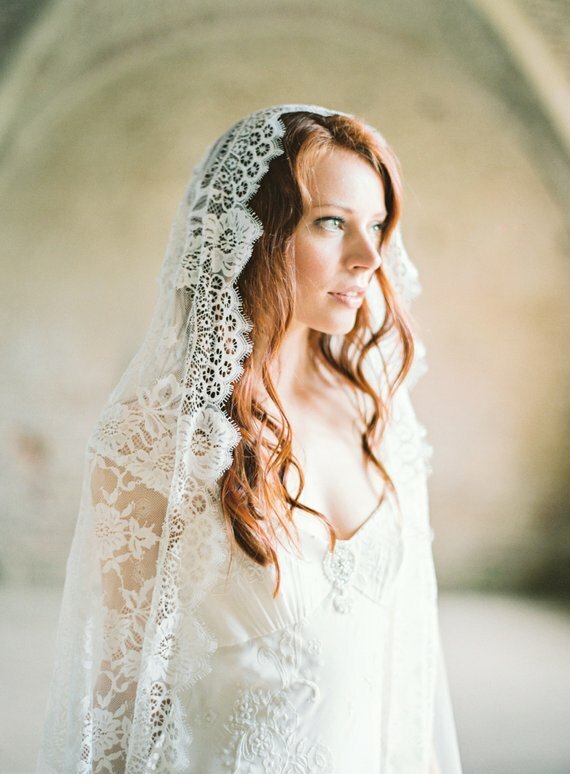 Loving dainty DIY doilies spinning in the breeze and don’t the drapes of glass beading look so chic? I. am. obsessed with edison bulbs. 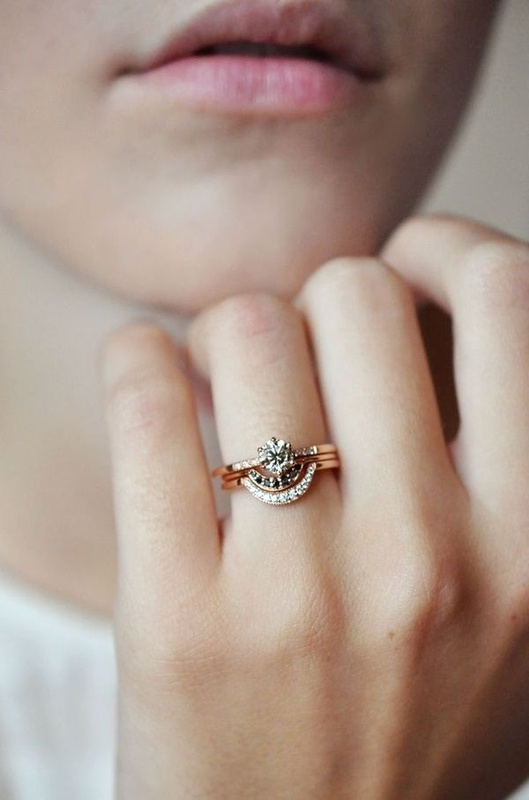 So simple and so, so gorgeous! 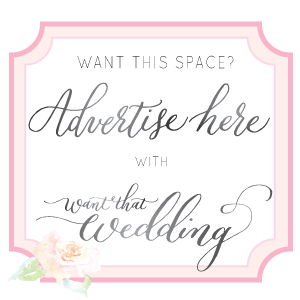 Wanna make a grand old statement? 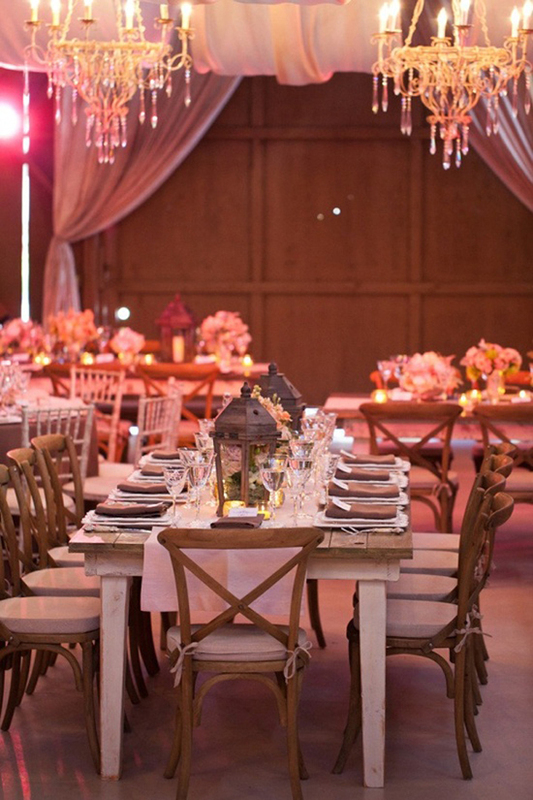 Chandeliers definitely have the w.o.w factor and look perfect in a rustic barn / warehouse type setting! 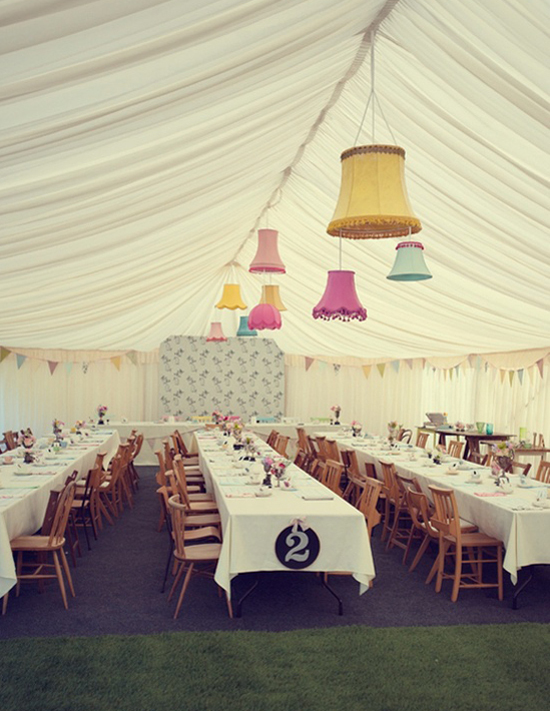 Vintage parasols make quirky decorations and these pastel vintage lampshades really do liven up a marquee. 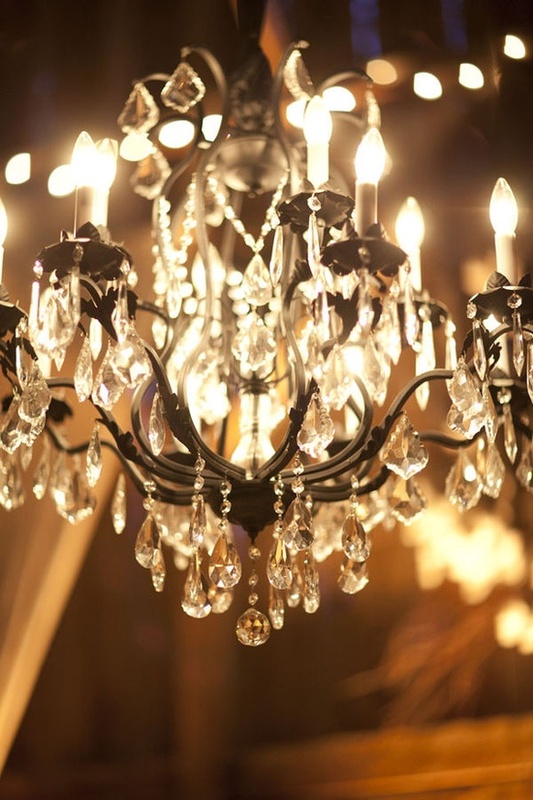 Create ambience with your lighting. 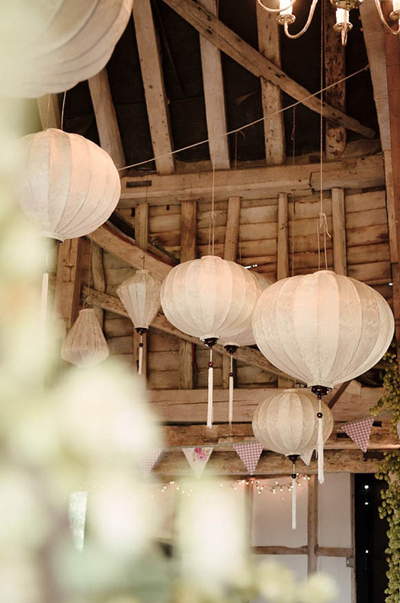 I love the pretty glow of these Moroccan inspired lamps against the bold and pretty Chinese paper lanterns. 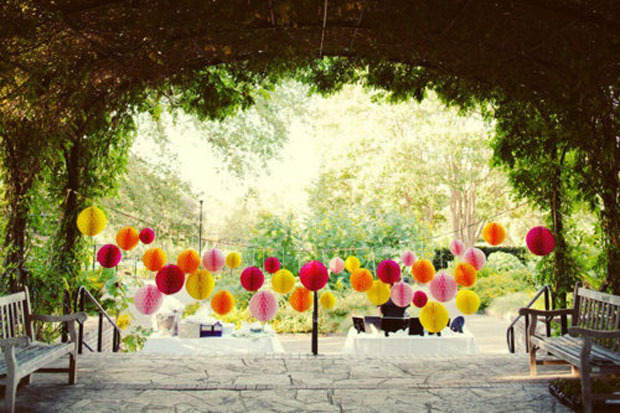 How lovely do these garden lanterns look underneath the draped material? 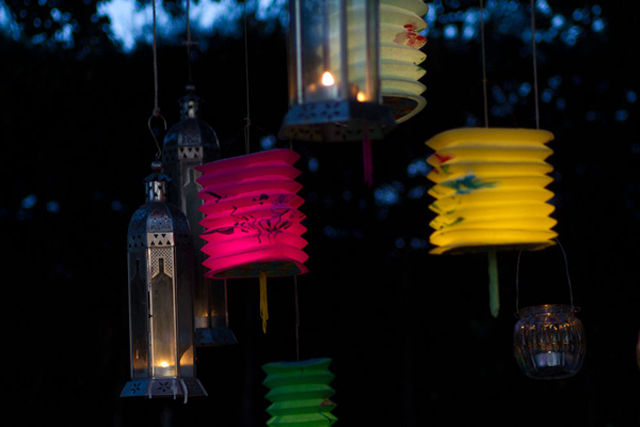 And if you’re considering using lanterns, take a look at exotic types like these thai silk lanterns. 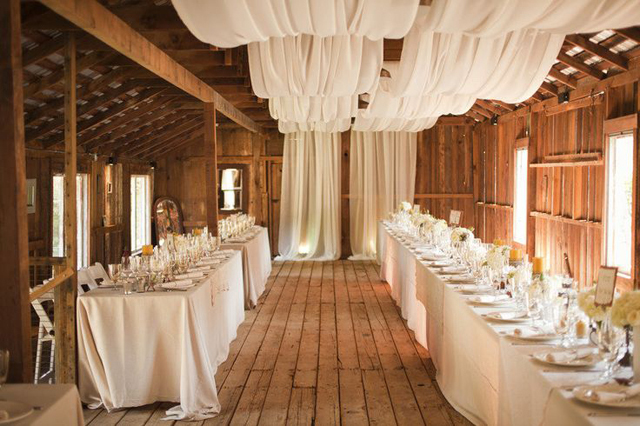 Does your venue have beams? 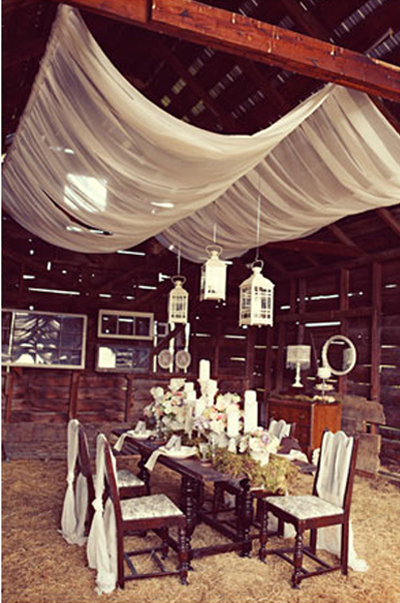 The simplicity of just draping the beams with material is very romantic. 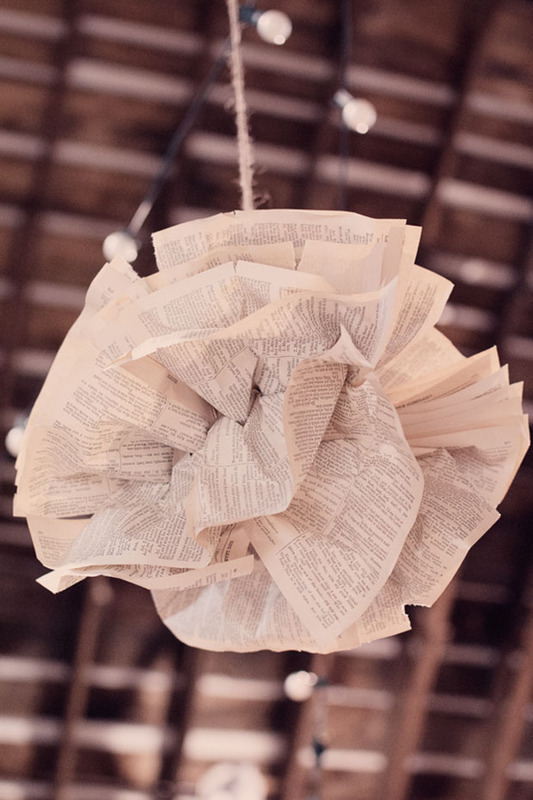 Paper poms are a popular idea, I love the rustic-ness of these newspaper poms. 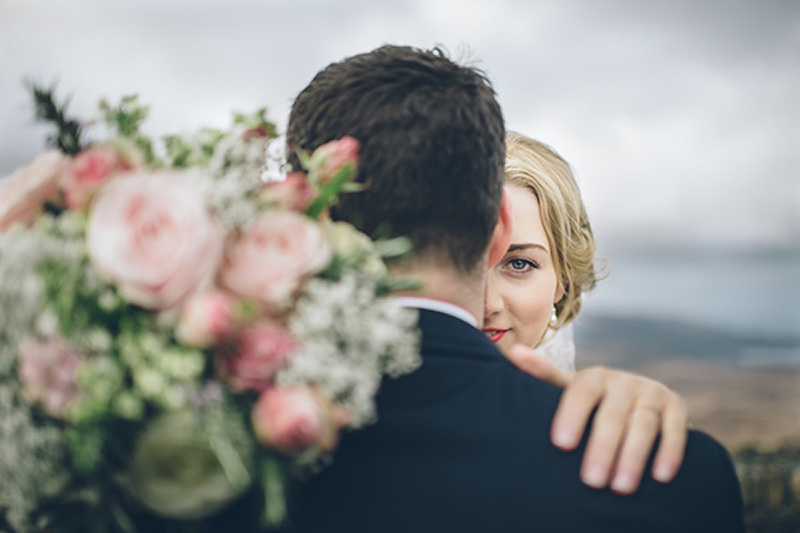 XO’s and happy couple images are also a super sweet idea, make a great focal point and are an emotive decoration. 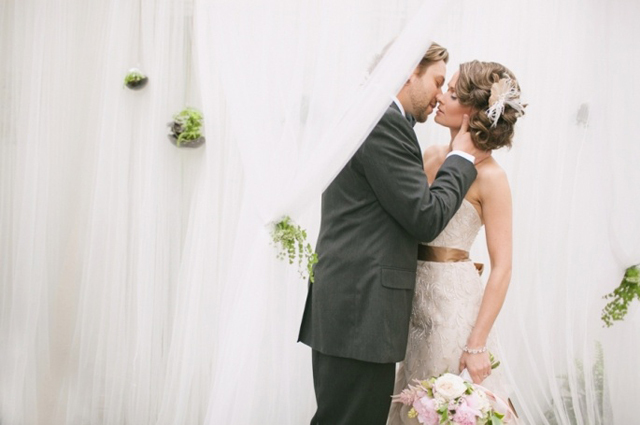 The tulle backdrop in this image is stunning and I love the hanging fern arrangements. 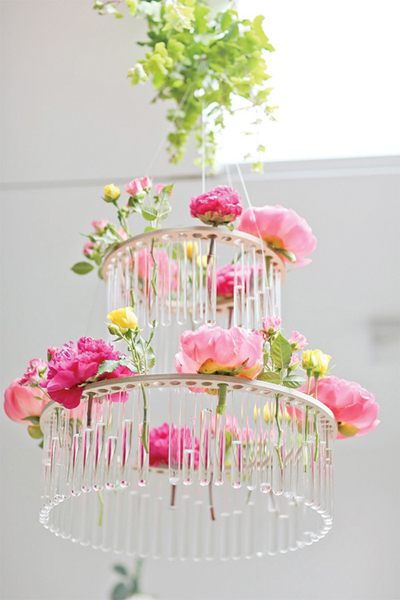 This fresh flower chandelier created with glass vials is one of my favourite ideas. 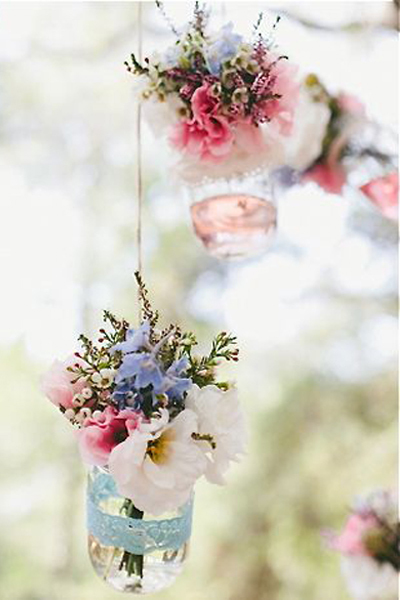 And the glass jars with fresh florals look rather pretty suspended too. 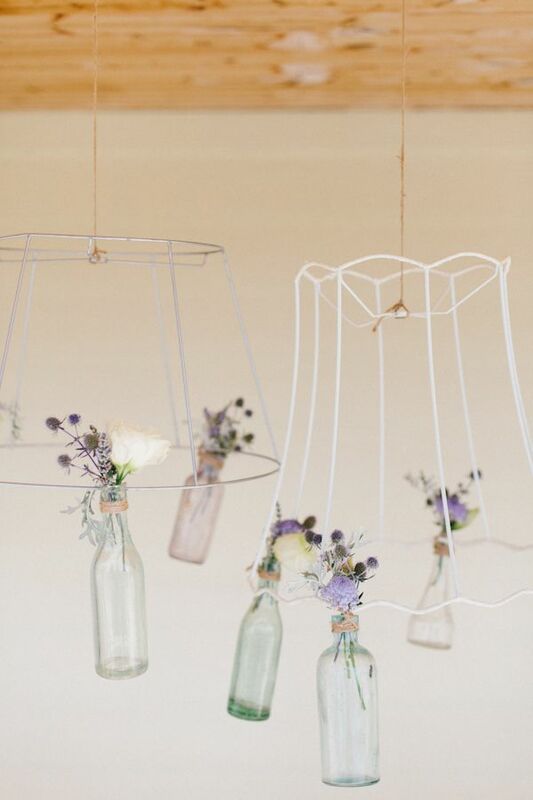 Large paper flowers liven up a marquee space, and how pretty are these bottles suspended from wire lampshades?! 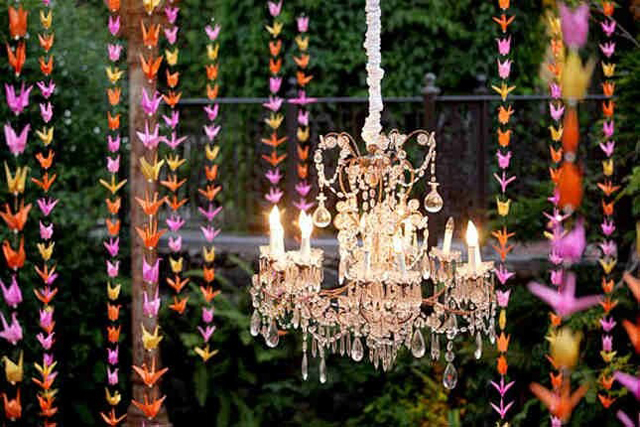 Making a 1000 paper cranes will make all your dreams come true! Promise. They also look way way cute! 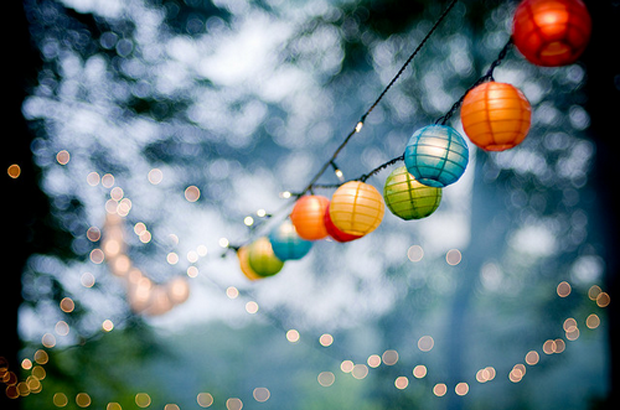 Light up outdoor spaces with these mini lantern fairy lights. Twinkle twinkle wedding star. 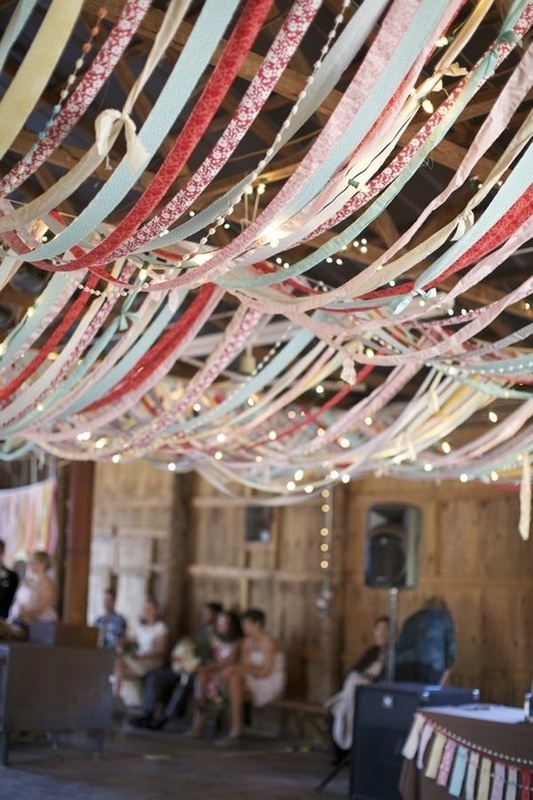 Transform venue ceilings with pretty strips of material or create your own hand-written paper bunting. Love the arrows and chevrons. 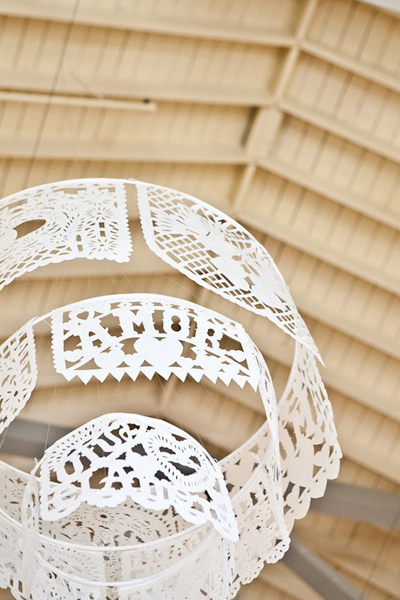 Put a splash of Mexican fun into your big day with papel picado flags and this creative picado chandelier. 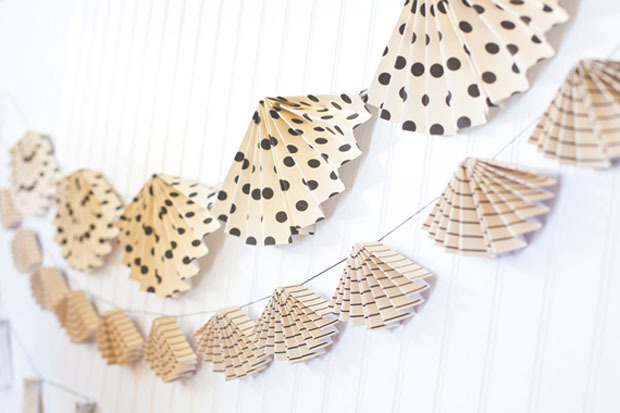 Accordion styled paper bunting looks very modern with the spots and stripes. 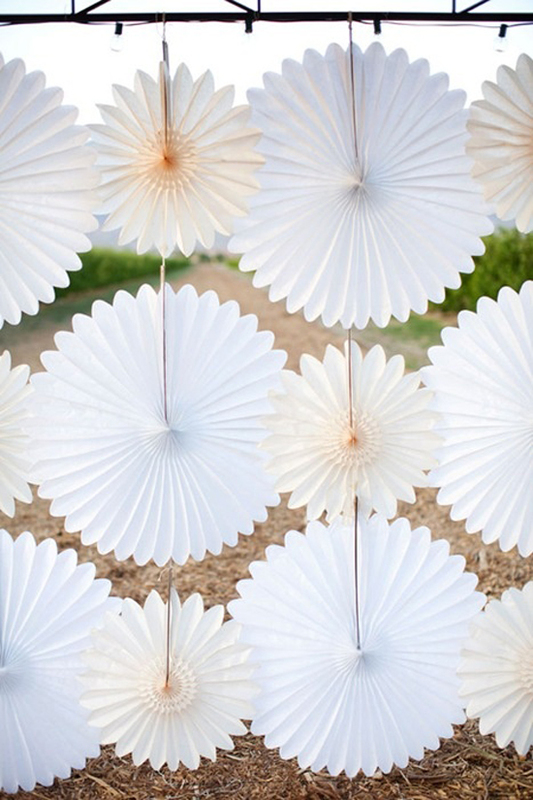 And don’t these paper wheels make an awesome backdrop? 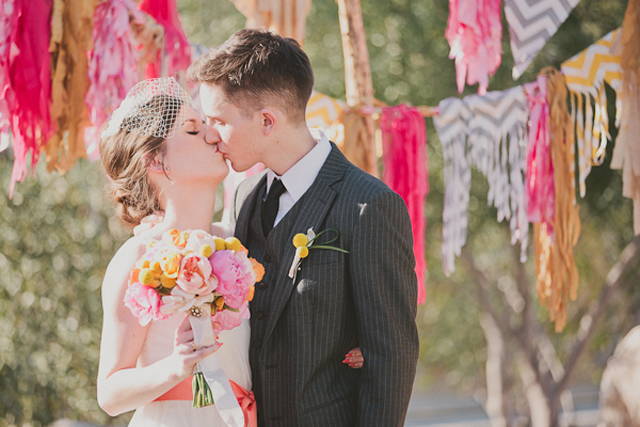 Modernise your wedding bunting with stylish chevron stripes and super bright tassels. You cannot go wrong with a bit of glitter bunting. Tis a fact! 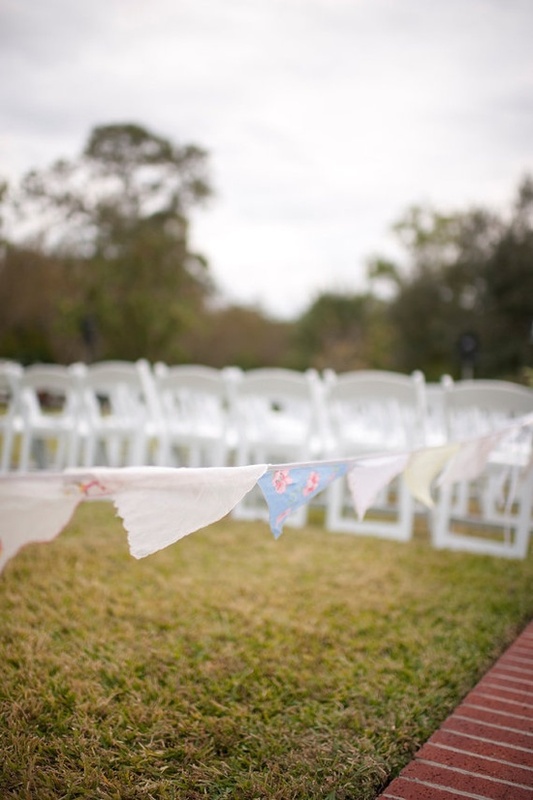 Or if you’re feeling all retro, create vintage hanky bunting. 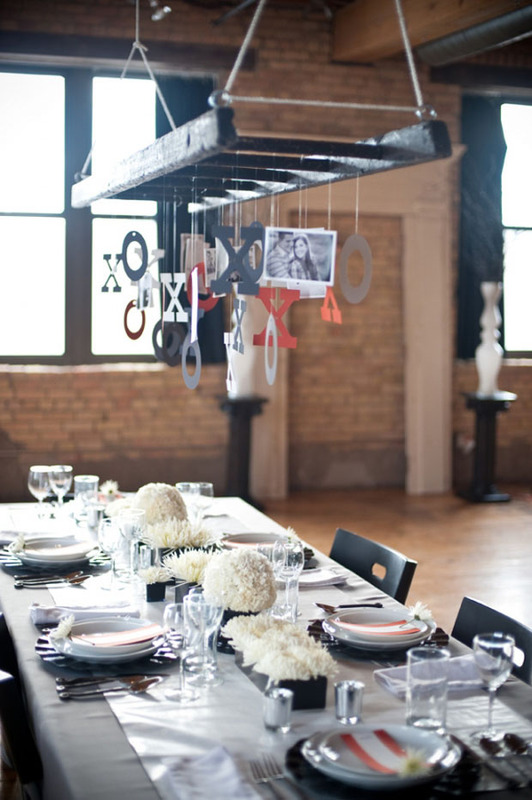 LOVE letter balloons could be used as a backdrop to the head table perhaps? And they double up nicely as a fun photo op prop. 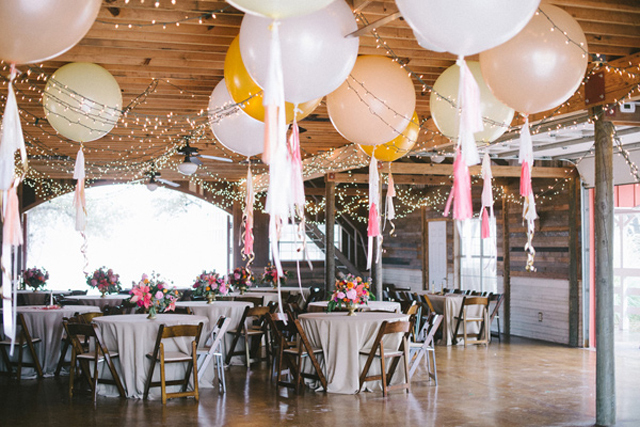 How beepin’ lovely are these oversized fringe tasselled balloons?! 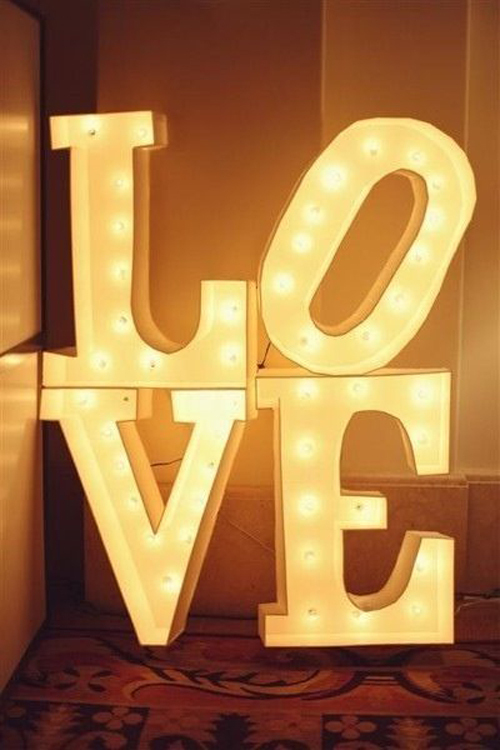 One of my all-time favourite wedding props has to be these giant LOVE light props and this mix and match light chandelier is rather spectacular too. 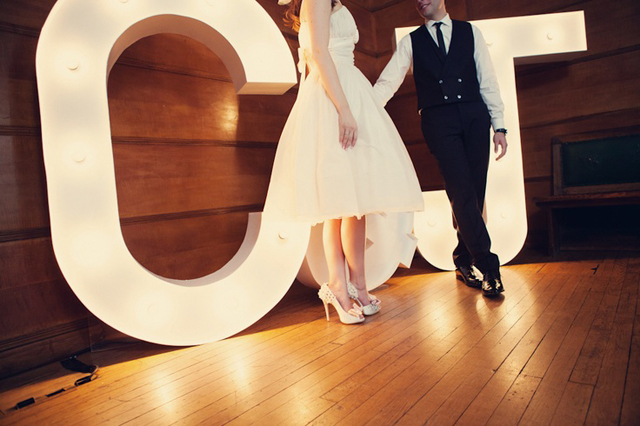 And finally, if you’re considering the giant letter lights. 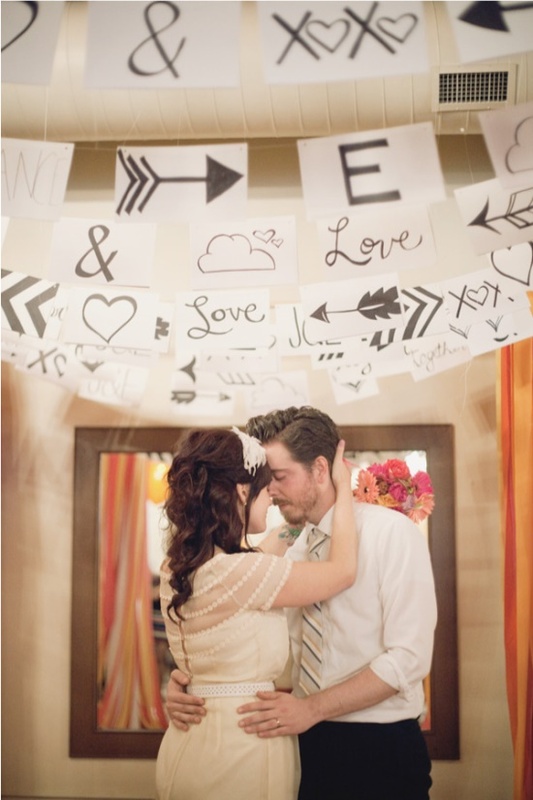 Spell out your initials and place them as a backdrop on the dance floor. 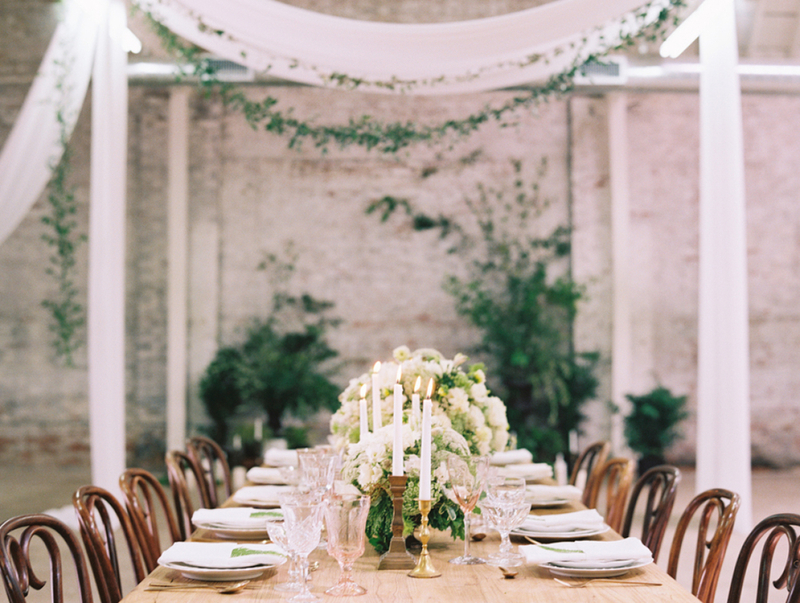 Pure wedding perfection. 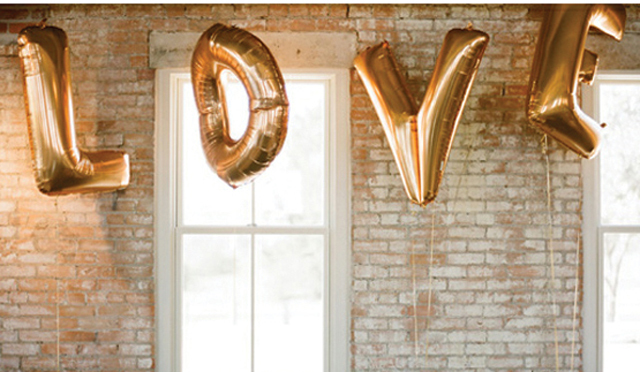 These fab decor ideas will take your wedding from hum-drum to AMAZE-um ;) I particularly think the giant light letters are super special and I’m also very fond of the oversized geronimo balloons with pretty tassels! How about you? 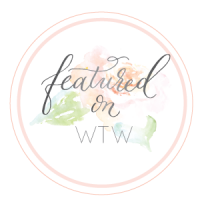 And if you’re looking to purchase decor for your wedding, check out my top wedding idea picks via etsy! I absolutely loved this post, it has a great feel to it and offers excellent inspiration. The Edison bulbs are a simple, yet effective idea that looks really great. 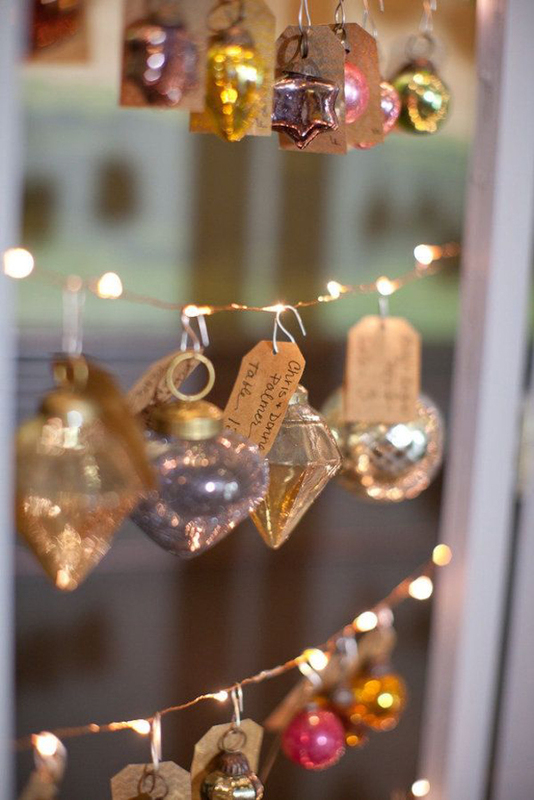 I haven’t seen the bulbs used as wedding decorations before, but they are lovely and work really well. 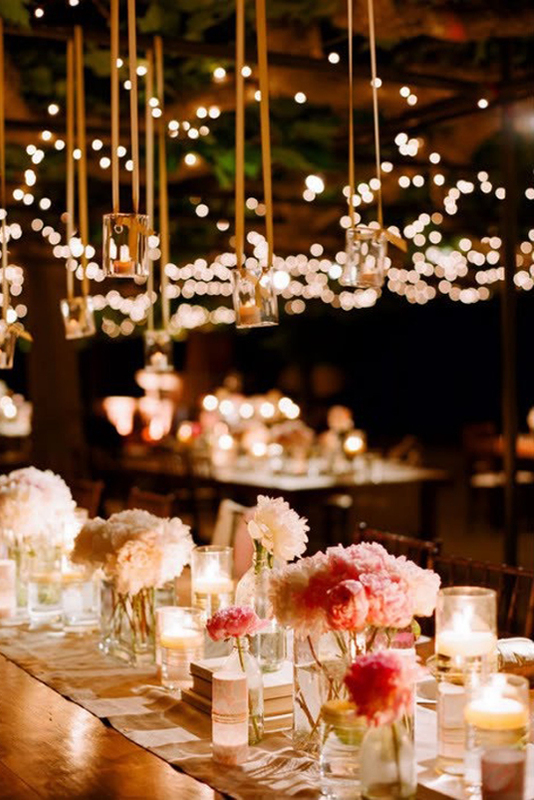 I also like the idea of having low-hanging drapes over the wedding tables, with fairy lights on top of them. 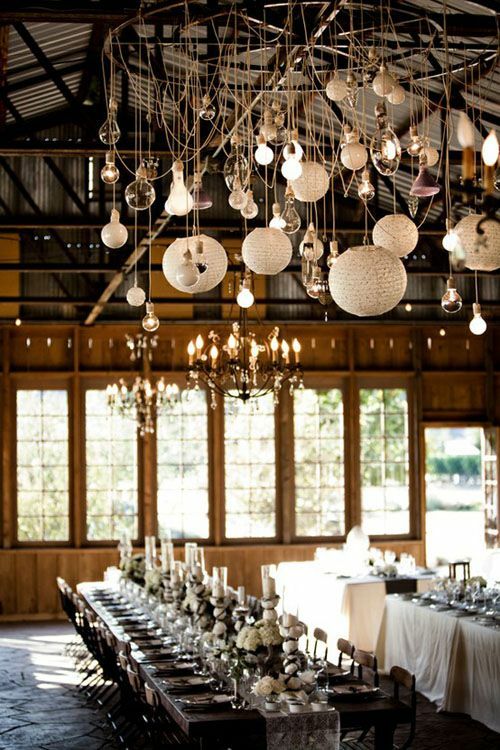 The drapes look really magical, and this kind of dim lighting would make your wedding venue feel really intimate and warm. 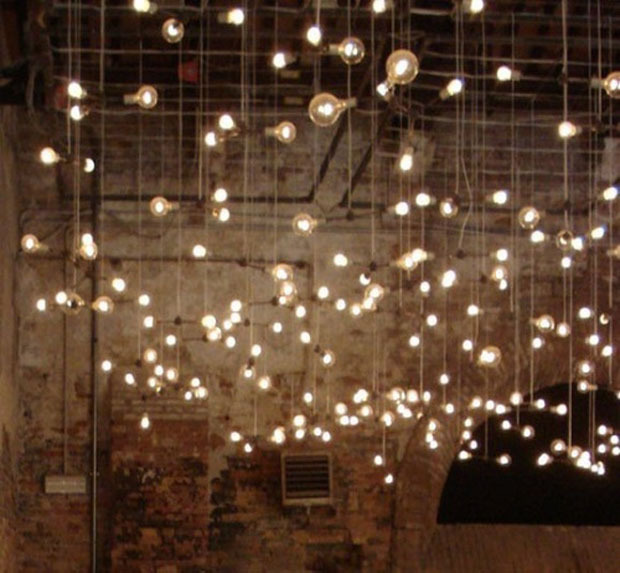 Really great ideas, the edison bulbs look great. 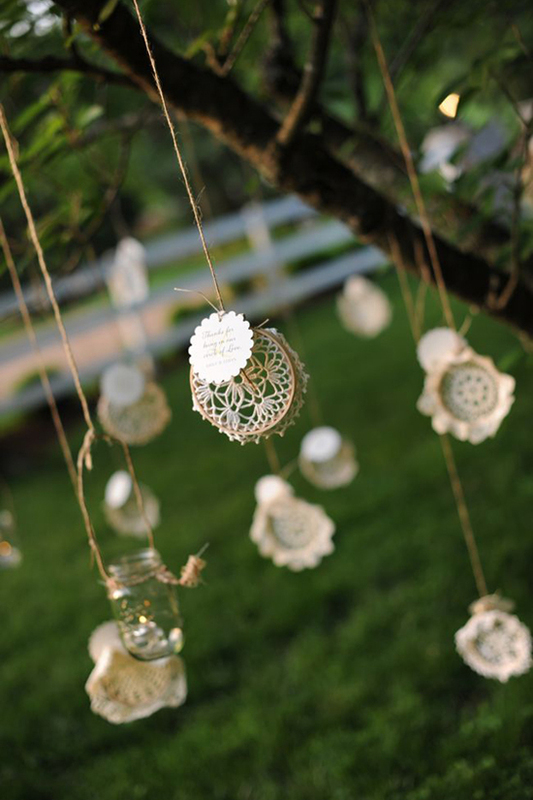 Possibly hard to get hold of but make a great alternative to chandeliers or lanterns. I always wonder what happen to the giant letters after though. Are they normally, bought made or hired? 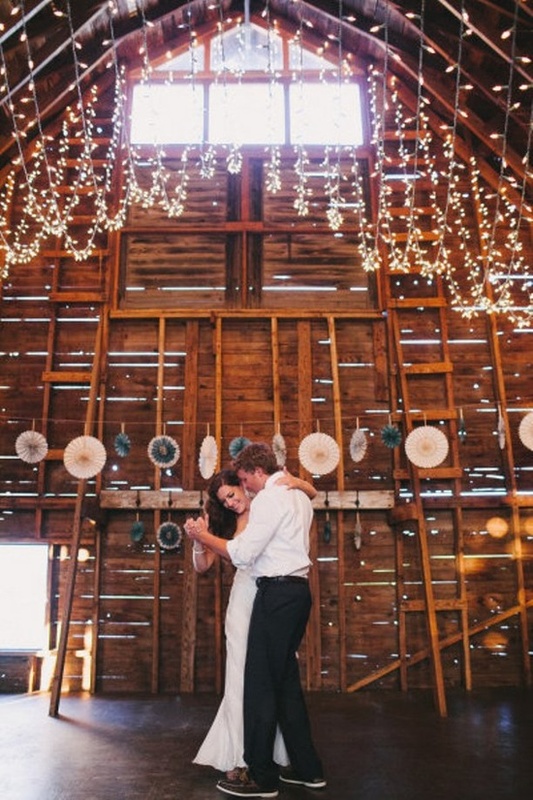 Like you say though they do make a great backdrop for the dance floor! 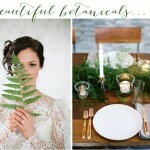 I love these wedding decoration ideas, the ideas are really fantastic and inspirational. 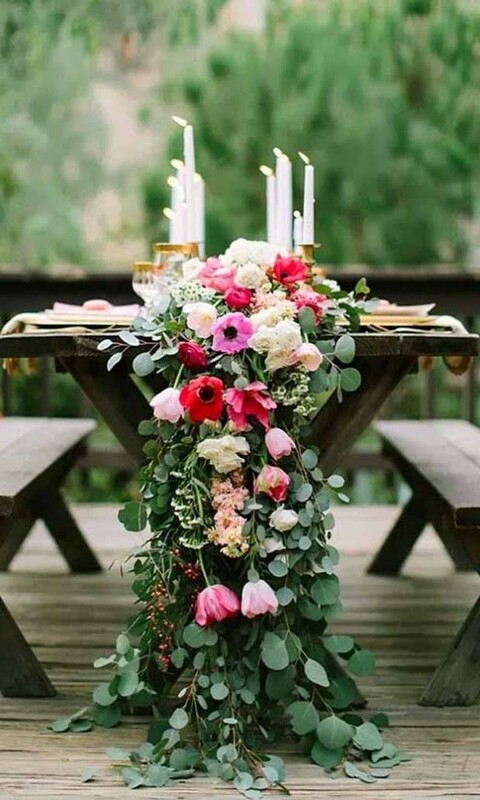 All the images have unique decor ideas which will be helpful to anybody to make his/her wedding venue personalized.